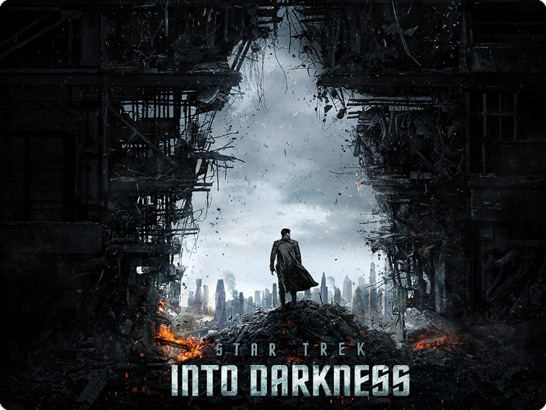 Star Trek Into Darkness directed by J.J. Abrams tells the story and adventures of the starship U.S.S. Enterprise and it’s crew. One of the challenging aspect in the creating VFX, is the aim to make the final look as real and believable as possible, although most part of the image is a virtual set; a computer generated environment, which, in the postproduction process can be used to extend the studio set, or in a more demanding way, to simulate the destruction of that set; here: to destroy the interior of the spaceship Enterprise. My work as divisional Visual Effects Supervisor contributed to several sequences in the film. Our division finalised the „Roly Poly“ sequence, in which Kirk and Scotty tumble through the cracking Enterprise.